Top SUP wave actie: Part 1 of Keahi's recent SUP surfing trip to Indonesia this year. He found the best place to keep out of the scorching tropical sun was in a sick Indo pit. Needless to say he spent a lot of time in the shade . Vette wave actie compilatie opgenomen op de Canarische Eilanden, hoog adrenaline gehalte... geniet ervan. After having won the 2011 Kitesurf Wave World Championship, Airton Cozzolino is setting his sights even higher: he is trying to make his way in the SUP championships with the help of 3X Stand Up Paddling world champion Kenny Lai. In the third episode, Airton and Kai do all the fun activities available in Maui: SUP, surfing, Jet Skis, Skateboarding, canoe paddling and.. Hawaiian barbecue! The Sunset contest is getting closer and Airton is finally ready to compete. Wave SUP op z'n best met: Art in Surf team rider Caio Vaz during the 2nd stop on the Stand Up World Tour. 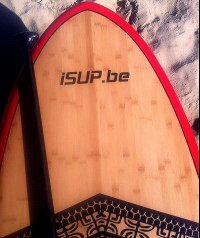 Infinity SUP's versatile SUP surf model the TL. The "Team Label" is the team's favorite for all around high performance. You can see that the board is very maneuverable, fast, and can even ride the nose. Designed, tested, and approved by our SUP team Slater Trout, Dave Boehne,CD Kinley, Patrice Chanzy, Jason Kenworthy, and Brent Pascoe.